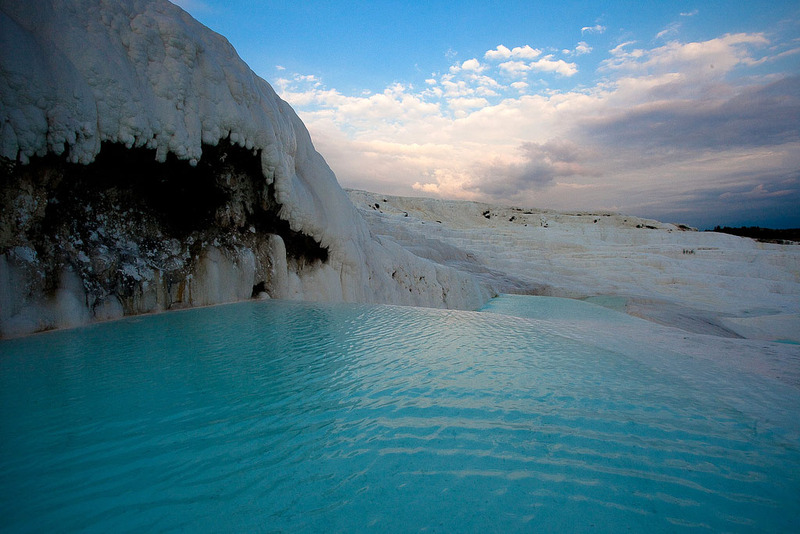 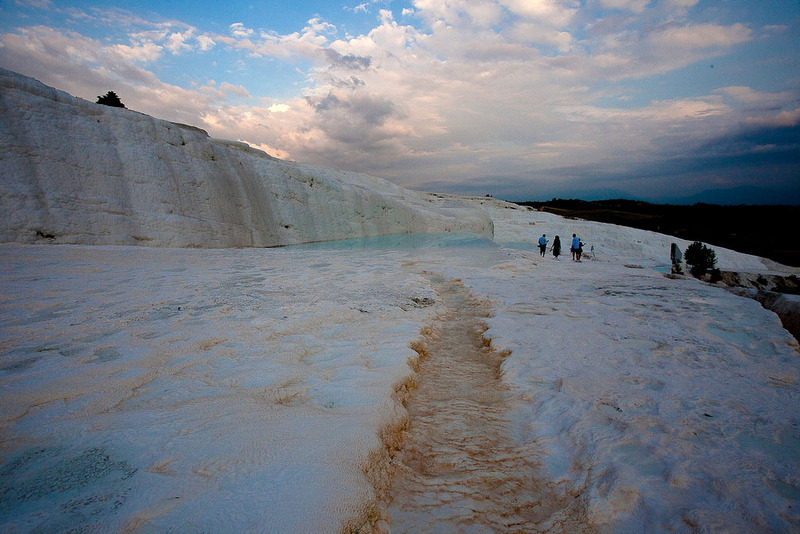 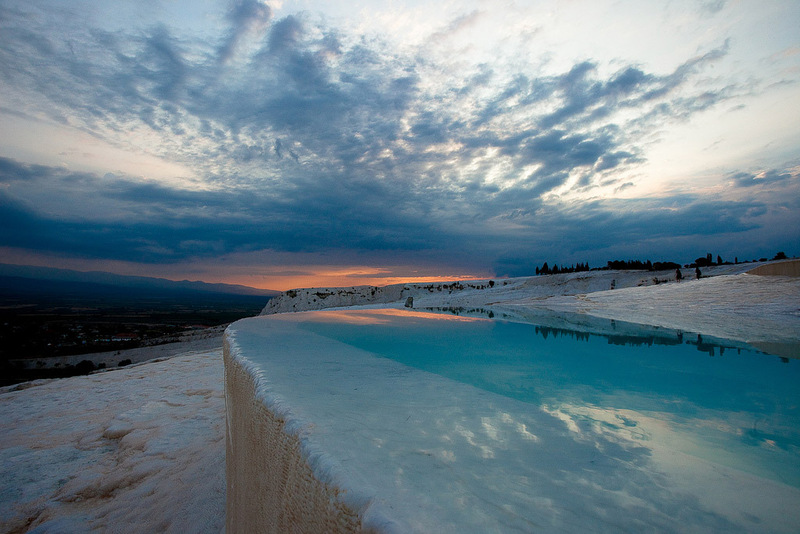 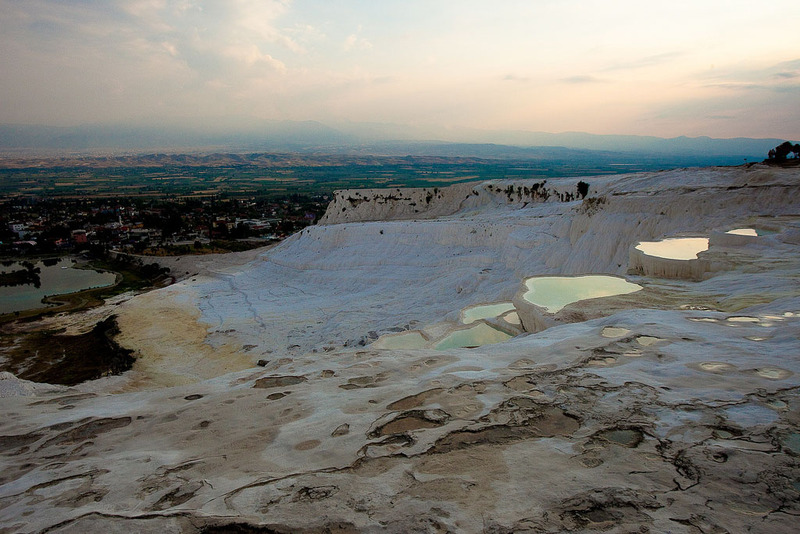 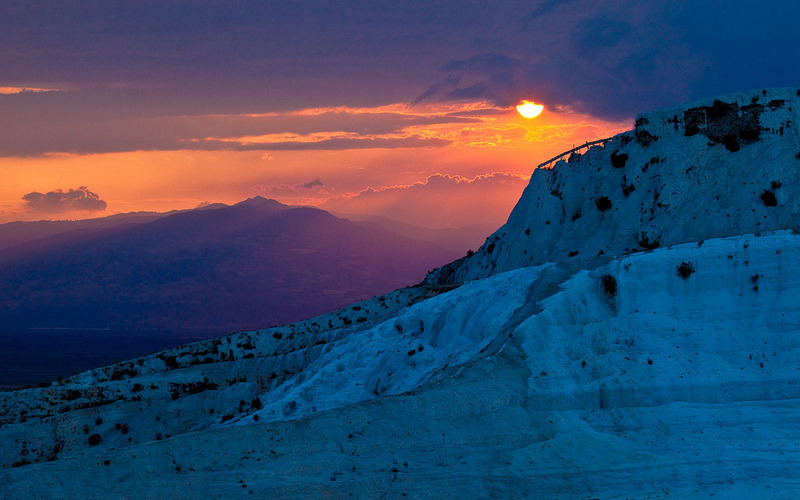 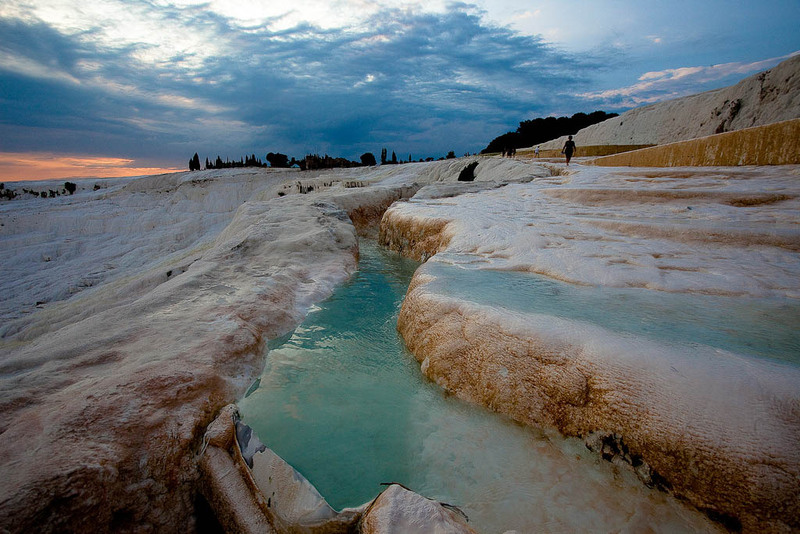 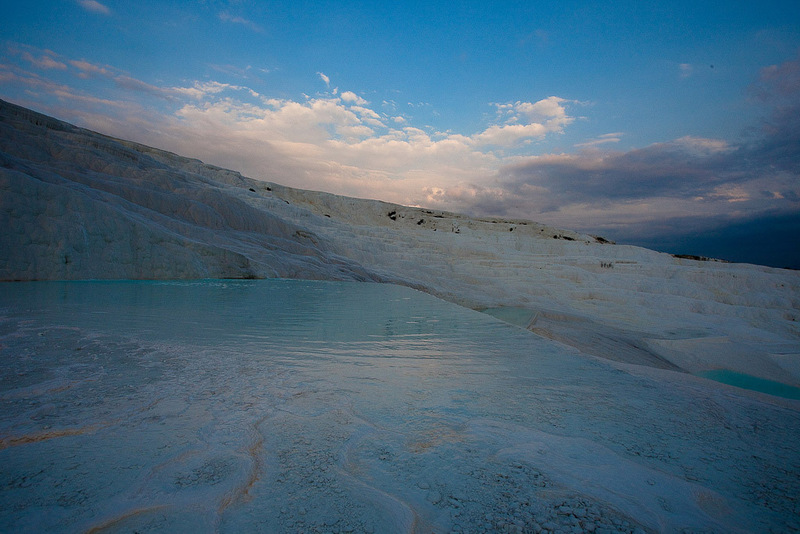 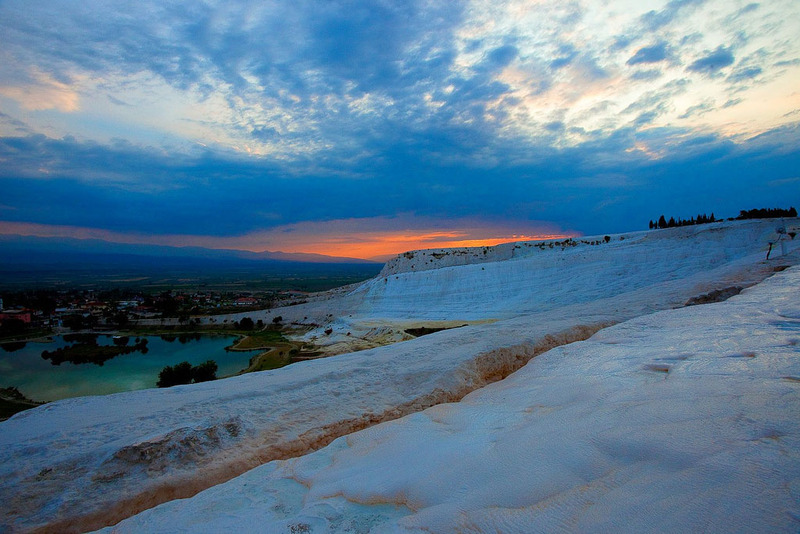 Pamukkale is a natural phenomena and gift of Mother Nature also known as the Cotton Castles. 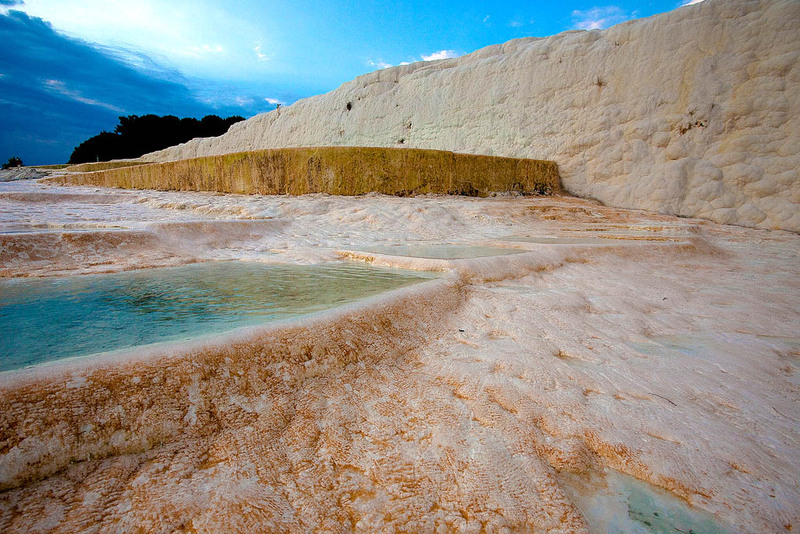 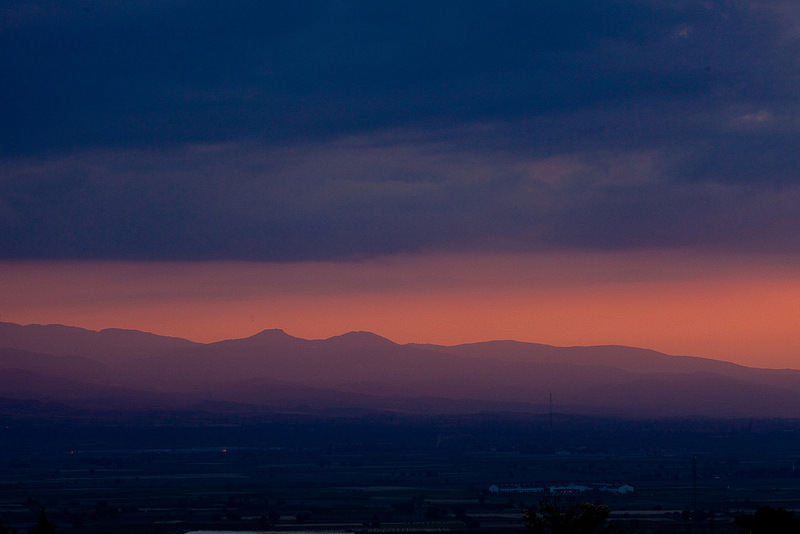 It is a natural site and a tourist attraction in south-western Turkey in the Denizli Province. 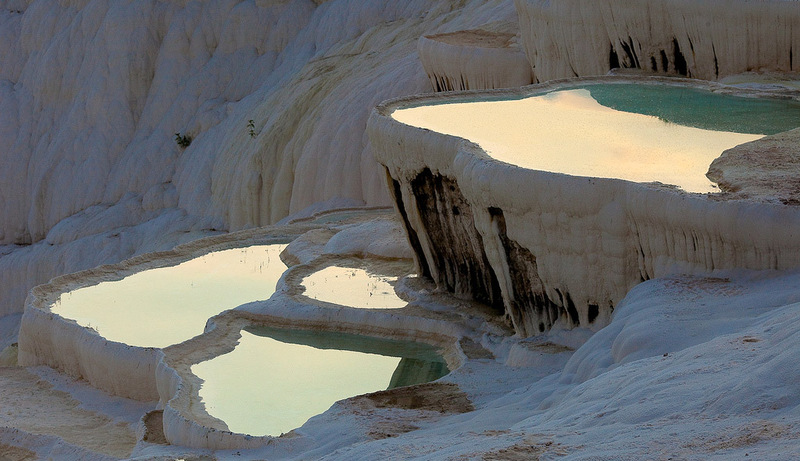 It is famous for its hot springs and travertines, terraces of carbonate minerals left by the flowing water. 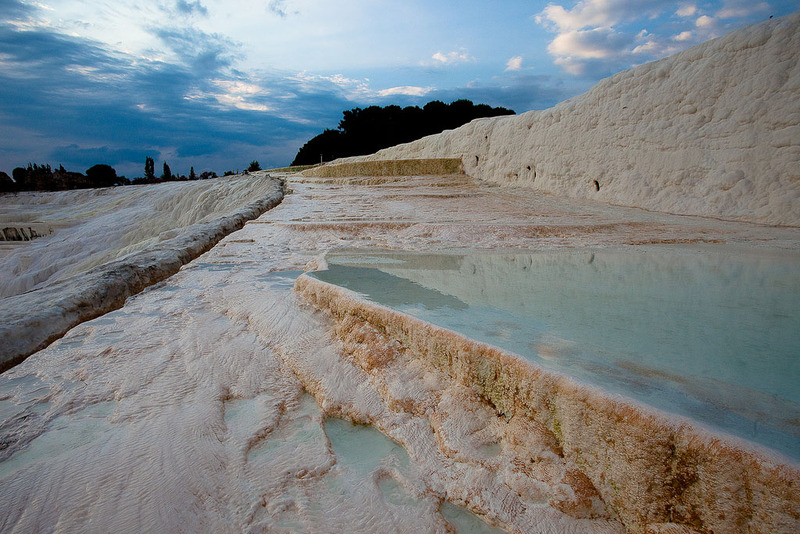 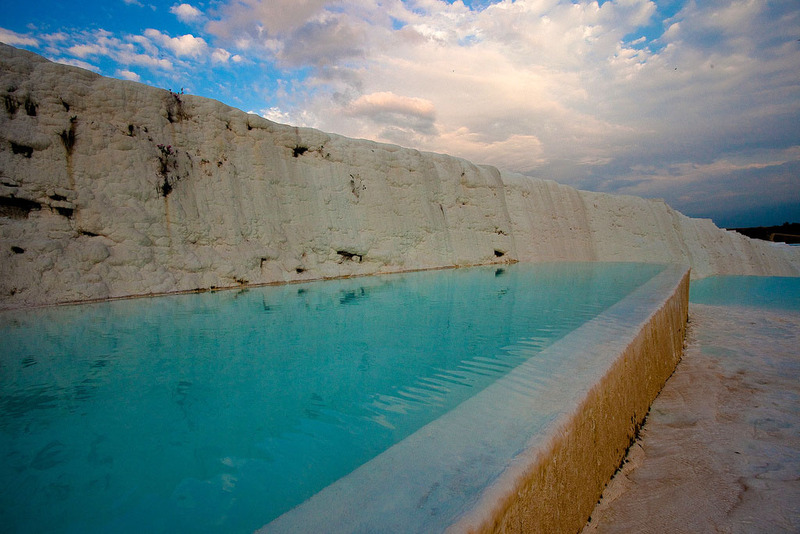 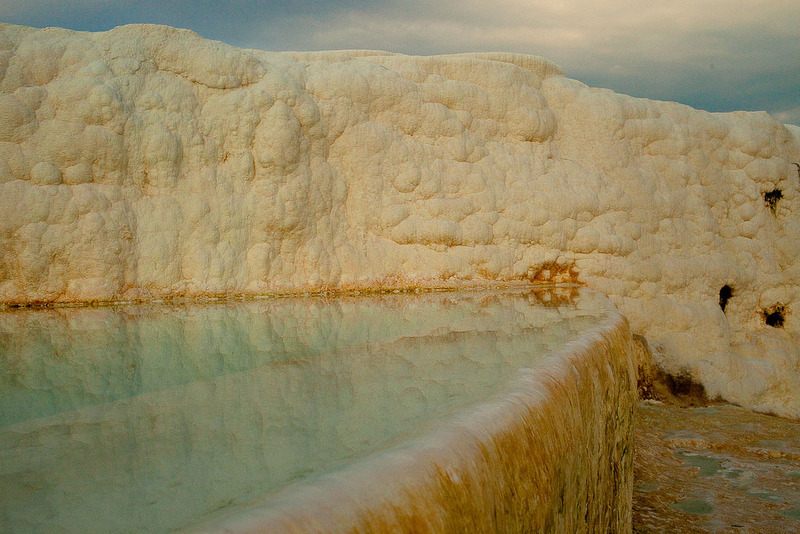 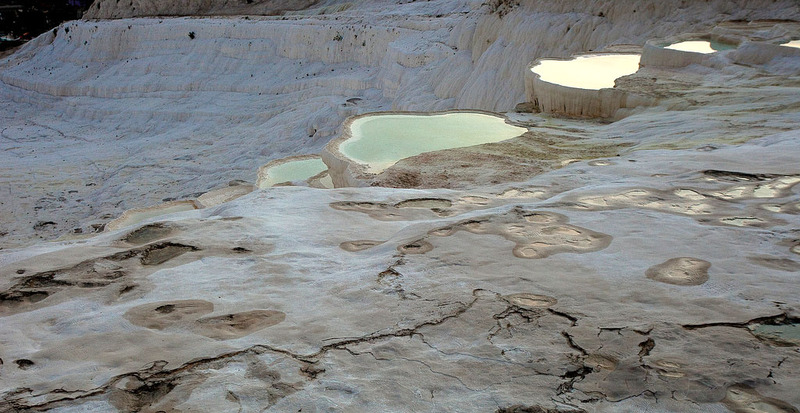 The stunning white calcium pools are wonderful and amazing. 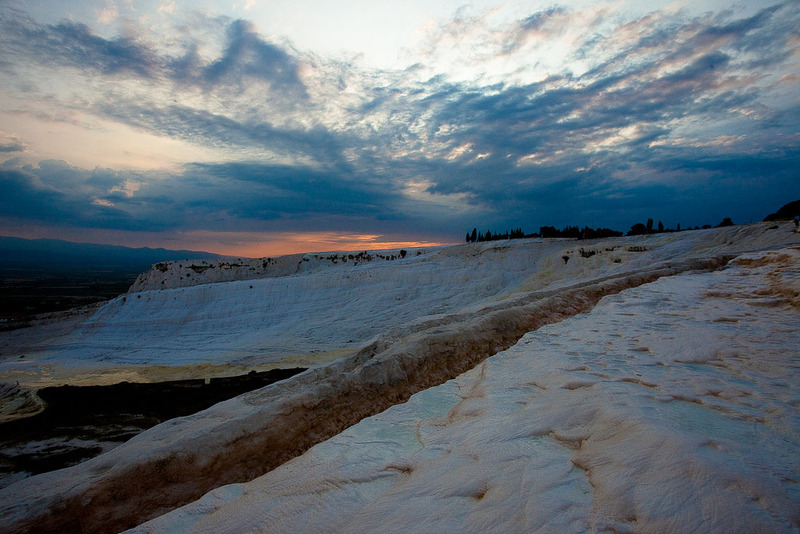 At 525 feet high Pamukkale is really a big hill whose stark white cap calls to mind an alpine mountain as misplaced in the surrounding green valley. 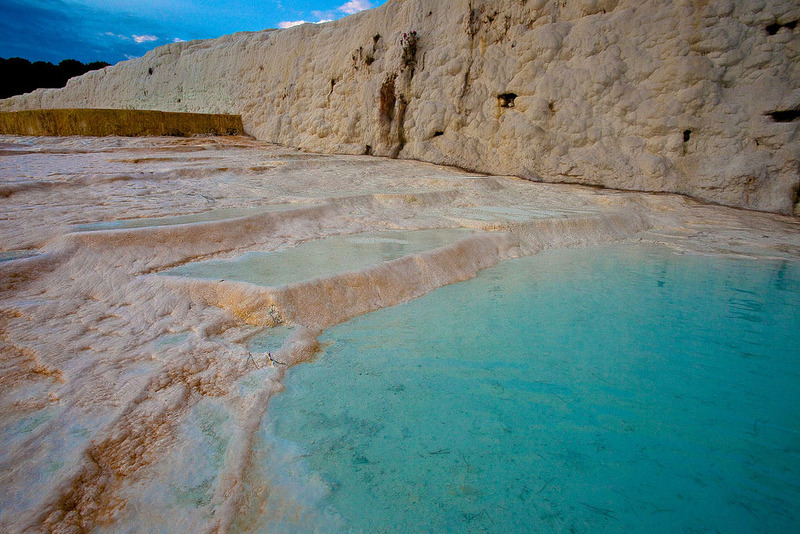 The illusion of snow is actually travertine, a type of limestone created by a rapid precipitation of calcium bicarbonate originating from hot springs.